The Alpinestars Bionic Neck Support (BNS) Pro is designed to help prevent injury in a crash situation by dissipating and diverting impact forces away from the neck and spine. The BNS Pro functions when the rider’s helmet makes contact with the frame at the moment of a crash, thus providing a clean, solid surface which instantly channels damaging, compressive impact energy away from the neck and on to the BNS. Primarily for use in motocross and off-road riding, this protection device offers a highly personalized and stable fit while incorporating innovative new features such as a new quick release locking system. Thanks to its advanced material construction the BNS Pro is lightweight and strong. Designed to provide a highly customizable, secure and personalized fit. SAS (Size Adapter System) provides adjustable and versatile BNS fitment. XD strap system allows a small light strap worn over or under the jersey to secure the device to the rider. Rear stabilizer: Developed to promote PFR (Progressive Force Relief) and dissipate extreme energy loads by transmitting them across the back and shoulders. Stabilizer pads are designed to transfer impact stress loads away from the spine. 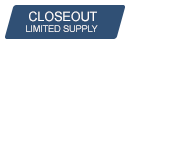 Quick-Release locking: Innovative auto-locking BNS closure system for rapid and efficient fitting/removal, which offers highly secure and convenient attachment which can also be quickly opened in case of emergency. New ergonomically designed pivot key located at the rear on BNS allows for convenient dismantling. All parts in contact with the body use a compressed EVA foam compound to distribute the impact force over the widest area, yet remain lightweight. A main frame member runs over the shoulders and eliminates weak points in a critical part of the frame to ensure the most efficient load transfer. This minimizes risk of injury as well as offering excellent levels of comfort. Nice fitting neck brace. Using in conjunction with the Alpinestars roost deflector and the fitment is good. As always fast shipping from Rocky Mountain. While I've been fortunate enough to not "test" the neck brace, it does however integrate with my Leatt 5.5 Pro HD chest protector pretty closely. The BNS's foam in the rear rubs a little bit when putting in the Leatt slot, but all-in-all, it fits and attaches very well and I believe it will do it's job flawlessly. Troy Lee Helmets tend to have a short chin bar or closer to your face. With the Atlas brace, the chin bar fell inside of the brace and didn't block the downward force. The Alpinestar brace fits well with short chin bars. I use this with my Alpine Roost Guard, it fits well and is easy to get on and off. If you care about your family. They will all have these. Tested it on 2nd ride. Wont ride without it. I bought one of these for myself and one for my daughter. I cant say that we've tested them but I'm glad we have them. The brace fits well with a camelback that I wear. It is comfortable, and after riding for a few minutes I don't even notice its there. It was expensive but worth every penny. Can't even tell it's on and I have zero problems with it. Also saved my neck the other day. I had never worn a neck brace before. Didn't know what to expect. I put it on and within a couple minutes I forgot I had it on. love this brace, easy to assemble and comes with strap which is easily hidden my only negative insight is the price. I need its size replacement plastik. Is it available or sale in separate? BEST ANSWER: That would more than likely be something you would need to contact alpine directly for. Rocky Mountain sells the whole product but not individual parts I don't believe. The size links are available seperate. Also the front plastic plates and rear strut is also available. Call alpinestar for part numbers. Yes you can get the white plastic plates seperste as well as the rewr strut. They are 1 size fits all on adult braces. Will this work with a Thor Senteniel chest protector? BEST ANSWER: The standard Thor Sentinel Chest Protector is not designed for use with a neck brace. Thor has a Sentinel XP that is designed to be used with a neck brace. That being said, this is a great neck support, I dont even notice it anymore. It should, I use mine with a fox pro frame, it has a similar design to the thor sentinel. It's a pretty universal neck brace. I really like it. 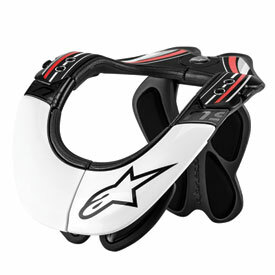 with the alpinestar armour action jacket do you still use the x strap or can you just use the inbuilt red chords? BEST ANSWER: You can use either. I have an A-1 and an A-10 and I use the X straps, only because I were the protectors under my jersey. What size do I need? Is there some sort of sizing chart? BEST ANSWER: I have attached a link to the measuring chart for this. In there it will tell you how to measure and then it will show a chart for reference.